ACES Program was conceived in June 2010 to provide our customers with a more holistic and comprehensive service and support. As an effective and efficient Engineering Solutions Provider, we strive to achieve Total Customer Satisfaction by delivering products and services of the Highest Quality. 4. Customization for Individual Jobs or Large Scale Projects. We have more than 16 years of experience and knowledge in the fields of design, engineering and material application. These key enablers provide us with the competitive advantage to serve you better in the industries. 1. Engineering design and solutions, including reverse engineering capability. 2. Engineering services and support, including service and refurbishment of most types of valves. 3. 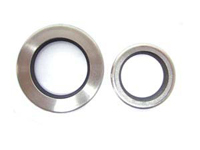 Supply of seals and ‘O’ Rings, and seals kits. 4. Machining and fabrication of precision metal and plastic parts. 5. Material application, sourcing and supply, with strong support from Dupont and Quadrant. Ceramic Parts & ComponentsJigs and Fixtures, etc. Subcontract for Heat Treatment/ Hardening, Coating (Both Plastic & Metal), Electro Polish, Anodize Plating, Clean Room Packing, etc. 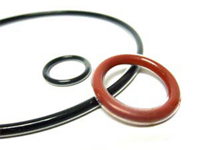 Encapsulated O-rings are chemical resistant seals used in industries to prevent passage of corrosive fluids or gases. It comprises an elastomer core material which is enclosed within a covering, known as encapsulation. 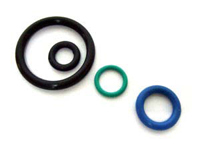 Standard Elastomer O-rings cover a whole host of ‘O’ rings made from synthetic rubber materials where natural rubber is enhanced through adding ingredients to liquid rubber mixture and then vulcanized or heated to derive its superior properties. 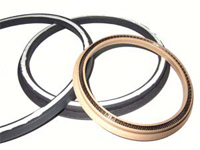 Spring Energized Seals are developed to overcome problems associated with seal polymers and elastomers. The spring action compensates for material set and wear, and have unlimited shelf-life. They are designed for static, rotary and reciprocating applications in temperatures from cryogenic to +600F; and pressures from vacuum to 25,000 psi, and to survive the most corrosive environments. High PerformanceRotary Seals are designed for rotary applications where the operating conditions exceed the capabilities of elastomer seals, and where extended seal life is desired or where mechanical seals are too expensive.